This Protection bracelet has been crafted from silk string, gold-plated beads and natural gemstones, and comes with an individual affirmation card. A delicate piece crafted from precious stones said to boost feelings of safety, comfort and security. 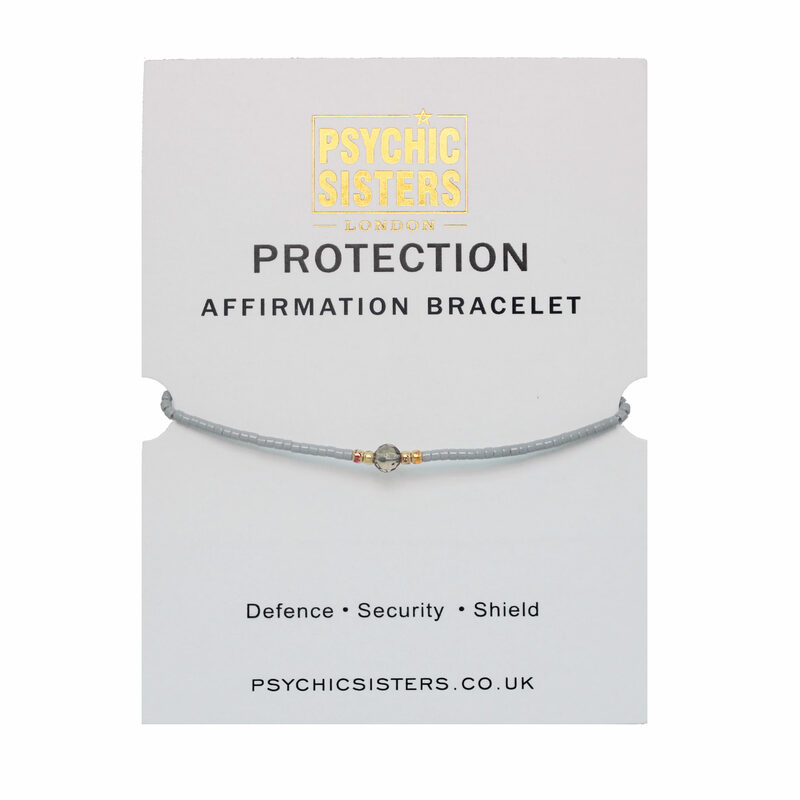 "I am Protected & Safe"
Tie the bracelet on & focus on the above Affirmation.